Police have done a u-turn, revealing after weeks of denial that a cache of ammunition and a hand gun were uncovered during the renovation of a house near Tamnamore. The revelation, which represents a complete reversal of earlier comments about the chilling find, came after the Pat Finucane Centre announced it was pursuing an investigation into the discovery and its possible connections with a notorious loyalist murder gang. Rumours had abounded that the find also contained a hit list of potential Catholic victims dating back to the 1970s. The handgun, ammunition and the list of names were allegedly found in a dusty plastic bag underneath floorboards during the renovation of the house during June. However, police initially denied any knowledge of the incident. Yesterday they backtracked on that claim, and said that a handgun and assorted ammunition were found. Speculation has mounted since the discovery that the sinister cache is linked to the murder triangle of the 1970s. 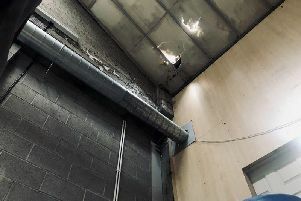 A spokesperson for the Pat Finucane centre confirmed that a relative of one of the victims of the Glenanne gang had contacted them in relation to the find, and the need to do ballistics tests on the weapon. It is alleged that one of the names on the list was connected to a victim of the gang, which included members of the UVF, RUC and UDR, and is thought to have killed up to dozens of people in the 1970s.